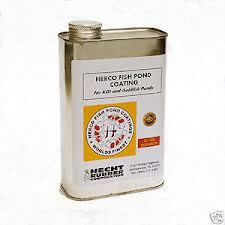 Herco Coating Neoprene Rubber Coating is an excellent finish to cover cement blocks to be used in the pond, stop leaks in concrete waterfalls, or cover concrete or block or other masonry type ponds. 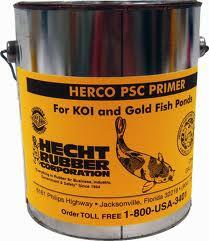 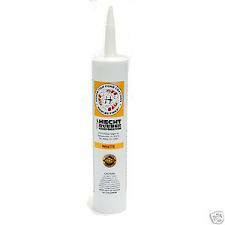 Herco Crack Filler Used to fill in larger than hairline cracks before using rubber coating. 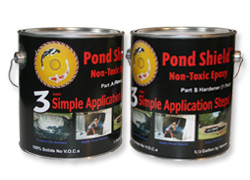 Pond Armor Pond Armor is a nontoxic two part epoxy sealer designed specifically for sealing concrete, steel, wood, fiberglass, etc. 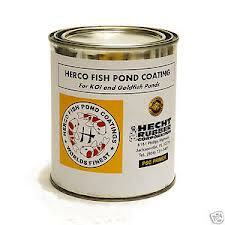 with a thick, durable coating.